Last fling at the Brownies (Today is the last day of the Season). Please note today is the last day of the season on the Upper Avon & Glengavel. 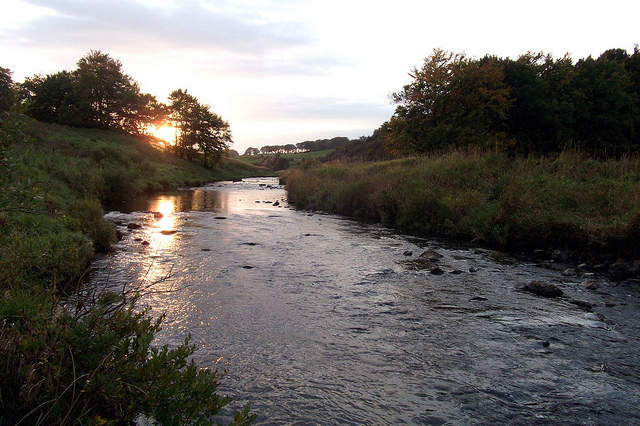 Below is a great report & pictures from Davy Learmonth our River Manager. “Had an hour or two spare on Monday afternoon so I thought I’d have one last go at the brownies. When I got to the river it was the worst possible conditions, sunny, cold, low water and absolutely nothing moving. To add to the difficulty for some unknown reason I thought I’d leave the waders in the car so I’d have to cast a yard or two more – square into the wicked upstream wind that was howling up the valley! Not a chance with the dries, so on with a couple of nymphs. Anyway, after a lot of wind knots, fankles and cursing I eventually came to a small run that looked promising and immediately got a wee pull, which I missed. 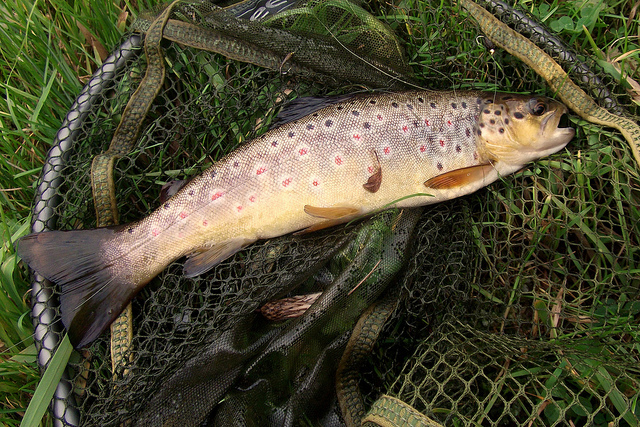 I fished on down the run, then right at the bottom I caught a lovely wee fish in perfect condition.